I realize the Dallas Cowboys are currently involved in their last mini-camp, but it really means next to nothing to me. The real action is still nearly a month away when the Cowboys training camp gets underway. That is when we will see how the coaching staff decides to put this team together for the 2018 season. A lot of people want to focus on the "big name" players and how they are progressing, but I like to see how the underrated one's play. We usually classify these players as "camp standouts", but sometimes they are actually able to carry that momentum into the season, which is what happened last year with running back Rod Smith. These are the kind of players I want to talk about. Who is going to be this year's Rod Smith? 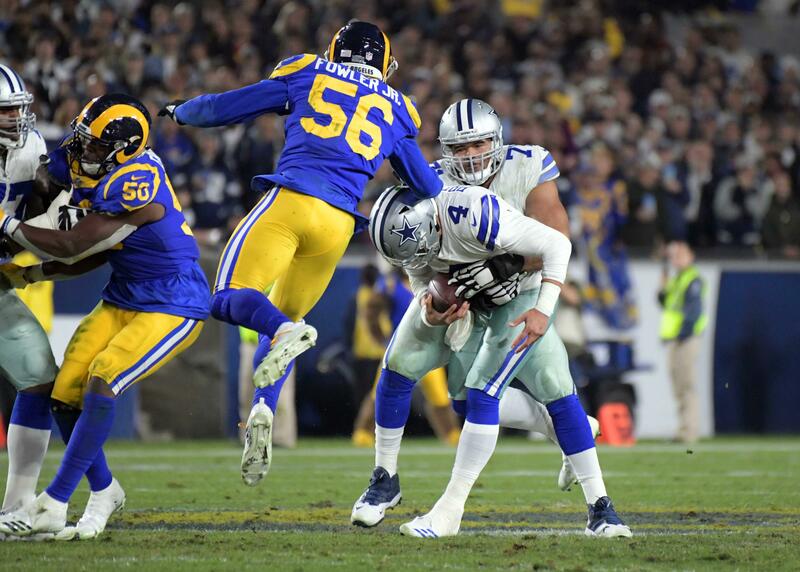 If he wouldn't have played well in the Cowboys training camp last year, he never would have received the opportunity to prove himself in an actual NFL game. Below is a list of underrated players I think could shine in training camp this year like Smith. All eyes will be on the tight end position throughout the Dallas Cowboys training camp and rightfully so. Someone is going to have to replace Jason Witten's production now, but there really isn't anyone who is standing out from the rest so far. But, Blake Jarwin has supposedly looked pretty good already in these early offseason practices. Blake Jarwin is still flying under the radar and is kind of an afterthought behind Geoff Swaim, Rico Gathers, and Dalton Schultz, but I don't think that will last long. Jarwin has a little bit of game experience since he was called up from the practice squad last season, but making the jump from backup to starter would be quite a feat to accomplish. 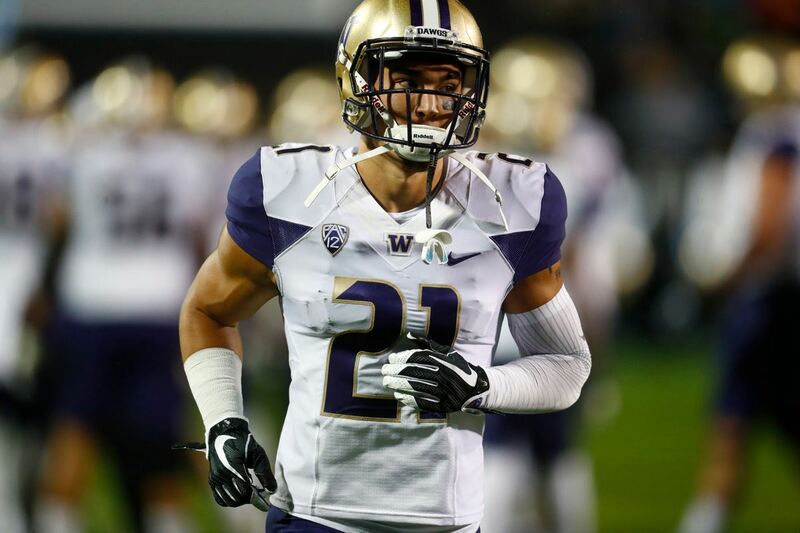 I believe Jarwin has a chance to become the "complete" TE the Dallas Cowboys are looking for. He has all of the intangibles you look for in a starting TE. He is more than capable of being a reliable in-line blocker and has the athletic ability to be a threat in the passing game. I think he could possibly start to separate himself from the other TEs on the roster once training camp gets underway. 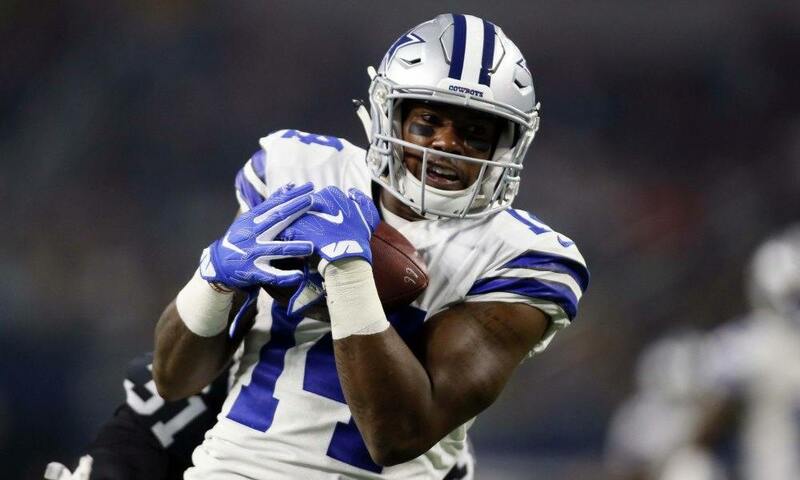 The majority of the talk surrounding the Dallas Cowboys wide receiver position usually focuses on the new additions to the group (Allen Hurns, Tavon Austin, Michael Gallup, and Cedrick Wilson). It's only natural to be curious about how these new WRs will fit in Dallas, but it also means current players tend to get overlooked. I believe that is exactly what is happening with Lance Lenoir and Noah Brown. Lance Lenoir isn't quite as known as Noah Brown, but I put them together because they could be competing for the last WR spot on the 53-man roster. Both are entering their second-year in the NFL, but only Brown has played in a meaningful game. He was mostly utilized as an extra blocker and performed really well in that role. From what I've been hearing, both players have taken advantage of the offseason and are ready to take the next step in their development. Each has a different skill set they would bring to the offense, but only one likely makes the final roster. Don't be shocked if you hear their names mentioned quite a bit once a Cowboys training camp gets underway. As things stand right now, it looks as if Rod Smith will be Ezekiel Elliott's primary backup when the 2018 season gets underway, but recently reacquired RB Darius Jackson could challenge for that honor. Smith has the advantage of being with the Cowboys for several years now and actually performing really well in a game, but Jackson is a freakishly athletic player. Darius Jackson really hasn't been able to show what he can do in a meaningful game. He showed flashes as a rookie with the Cowboys, which kept him on the active roster for most of the season before eventually being cut. He was then picked up off waivers by the Cleveland Browns, but an unfortunate injury never allowed him to show what he can do. Now back in Dallas, he may get that chance. We all know Zeke is going to handle the majority of the workload, so any scraps left over will be few and far between. The Cowboys will without a doubt give the backup RBs plenty of opportunities in training camp and preseason in order to keep Zeke fresh, but who takes advantage of the opportunity has yet to be determined. I think we could see a real battle between Rod Smith and Darius Jackson, but I believe it's Jackson who could really shine in training camp. The Dallas Cowboys are currently more deep along the defensive line then I can personally remember. They are completely stacked at defensive tackle and defensive end, which is going to make it a little difficult to stand out once these practices get a little more serious when the pads come on. But, I think Datone Jones and Jihad Ward can do just that. Ward has already caught the eye of the coaching staff in organized team activities (OTA's) while he has been filling in for David Irving at the three-technique. His arrow was already trending upwards, but a lot of Cowboys fans don't really know who he is. All they know is that he is who the Cowboys acquired in the Ryan Switzer trade with the Oakland Raiders. Datone Jones is another underrated DT who the Cowboys signed late in the 2017 season. He ended up playing in the final four games and proved more than capable of being a disruptive force at the one-technique. It is a position the Cowboys could use an upgrade and Jones could be that player despite being a little undersized. There may not be a more underrated linebacker on the Dallas Cowboys roster than Justin March-Lillard. I don't expect him to compete to be the starter in 2018 or anything like that, but I think we will hear his name mentioned quite a bit throughout the Cowboys training camp. March-Lillard will probably get a lot of opportunities to prove what he can do once training camp gets underway. 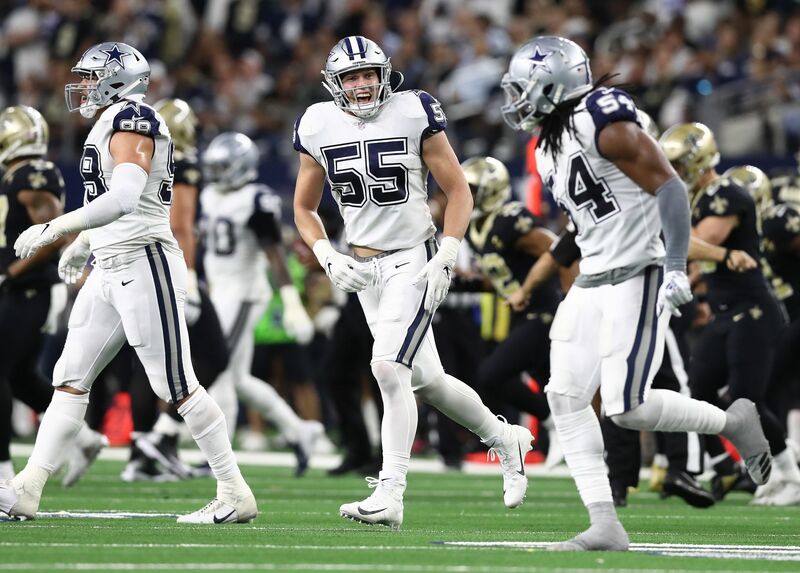 The Cowboys coaching staff will without a doubt put Sean Lee on some kind of practice pitch count in order to keep him as healthy as possible, which is good news for roster bubble LBs like March-Lillard. All eyes will undoubtedly be on Jaylon Smith and Leighton Vander Esch because of their immense upside, but March-Lillard is someone who could make a lot of plays in training camp and preseason because of his ability to play sideline to sideline. I'm expecting him to make a name for himself. Just remember that you heard it here first. What underrated players do you think shine at the Cowboys training camp?